Rodel is a village at the extreme southern point of Harris, 4 miles east of Leverburgh and 22 miles south of Tarbert. The cemetery is located around the famous St Clements church. 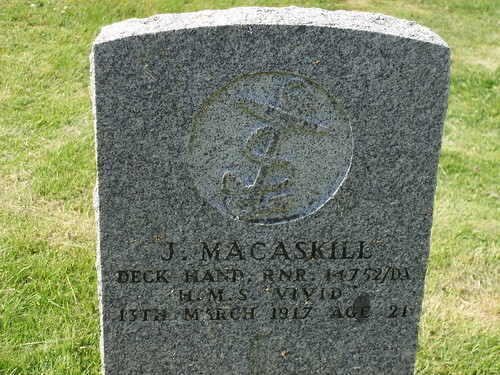 Son of John and Ellen Macaskill, of 27, Northton, Leverburgh, Isle of Harris. 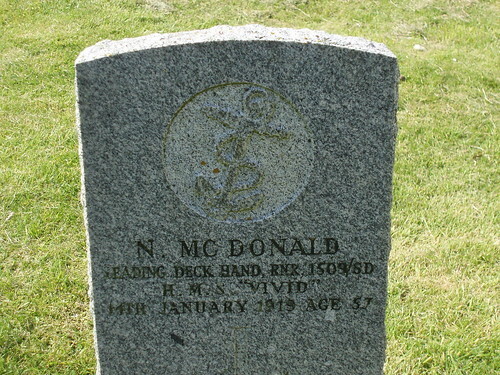 Regiment/Service: Royal Naval Reserve, H.M.S. Vivid. Son of Alexander Macdonald, of Quidinish, Harris; husband of Mary Macdonald, of Satran, Sligachan, Skye, Inverness-shire. Born at Quidinish. 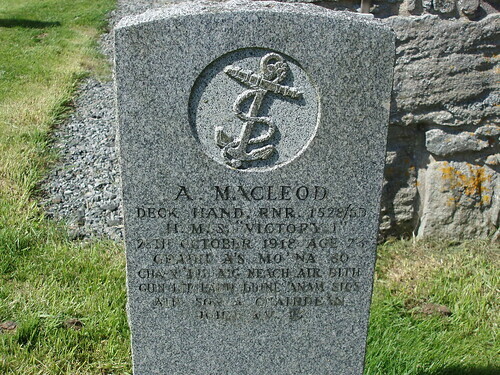 Son of Alexander and Peggy Macleod, of Strond, Leverburgh, Isle of Harris. Son of John and Flora Gillies, of Strond, Harris. 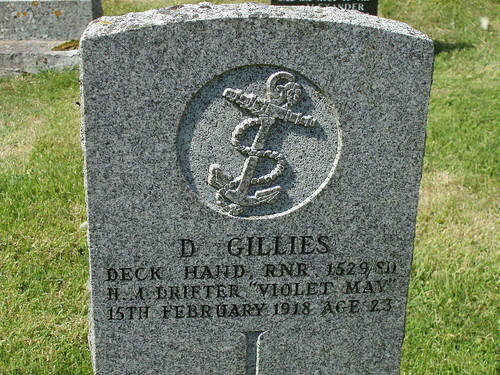 Regiment/Service: Royal Naval Reserve, H.M. Drifter "Violet May." 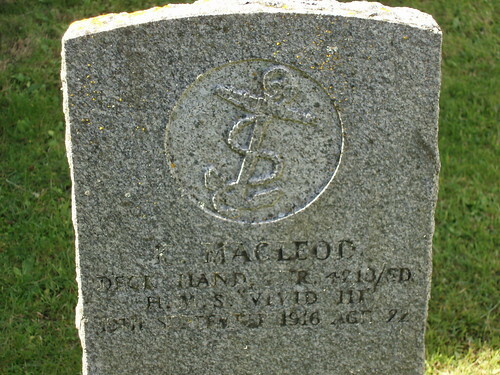 Son of Angus and Mary MacLeod, of Strond, Leverburgh, Harris. Regiment/Service: Royal Naval Reserve, H.M.S. "Vivid III." Interred: Rodel (St Clement), close to North wall of Church.